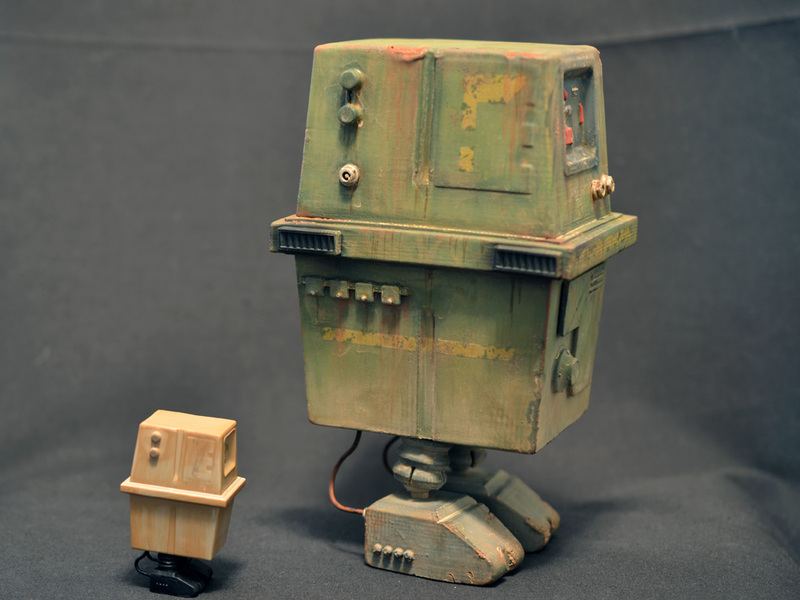 I’ve been on a bit of a Star Wars kick lately, sparked in part by realizing how awesome the current 1/6 scale offerings available are. 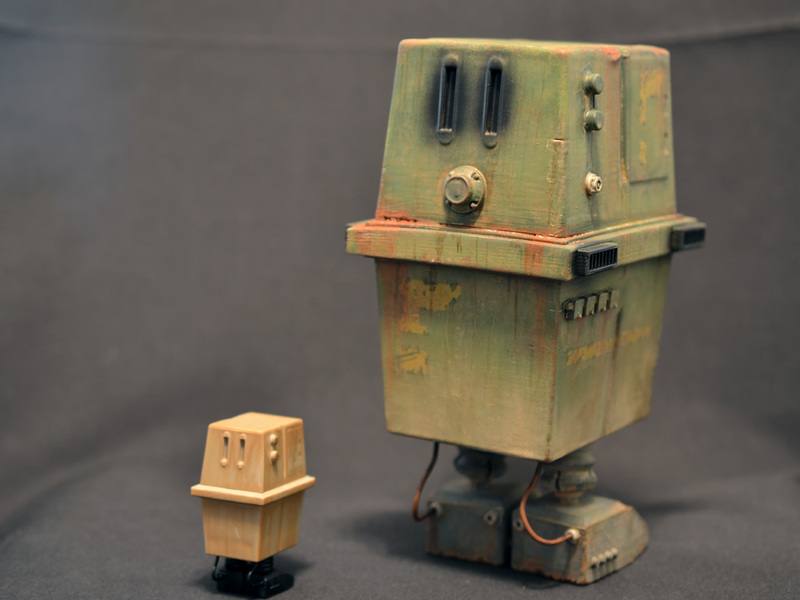 There’s all sorts of cool clone troopers and bounty hunters and all the great, colorful characters for sale, but droids seem to get a bit of a raw deal. 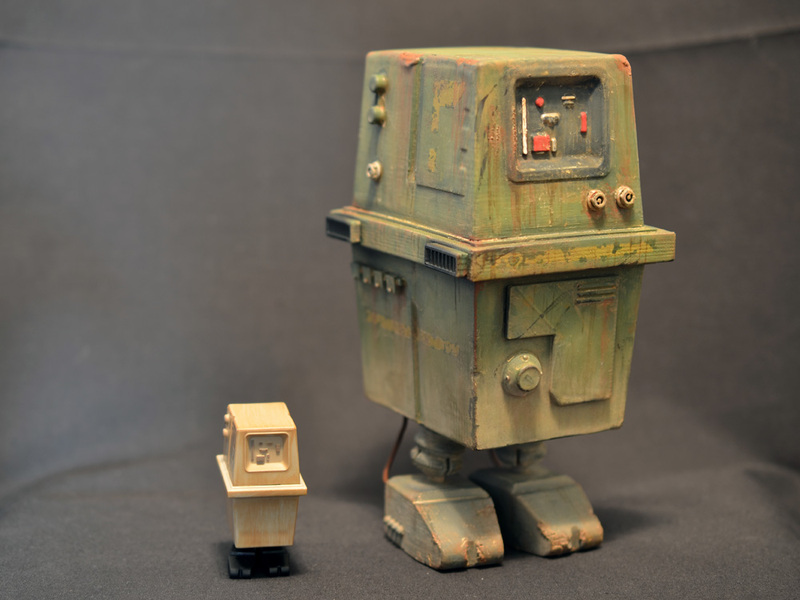 There’s a couple of protocol droid and astromech molds available, but they are either old cheapie Hasbro toys or outrageously overpriced Medicom toys. 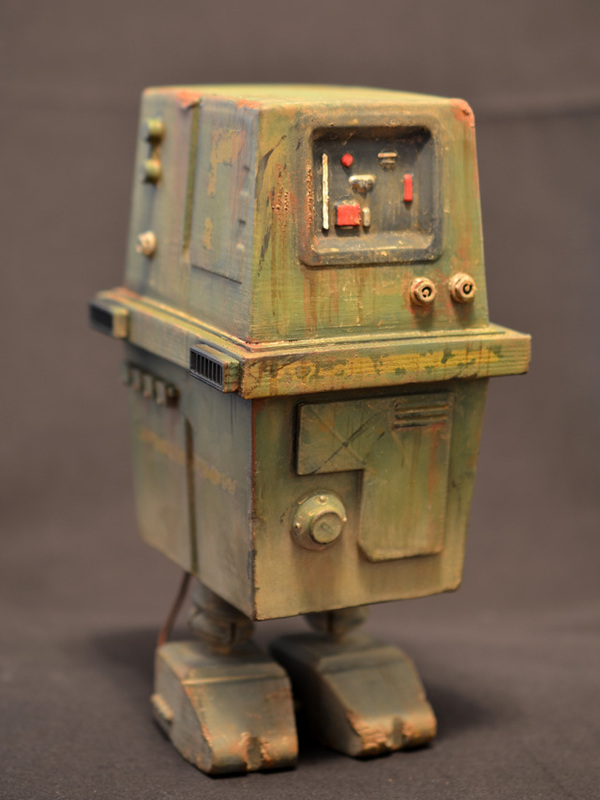 There are so many other great background droid designs that I love, so I decided to take matters into my own hands. 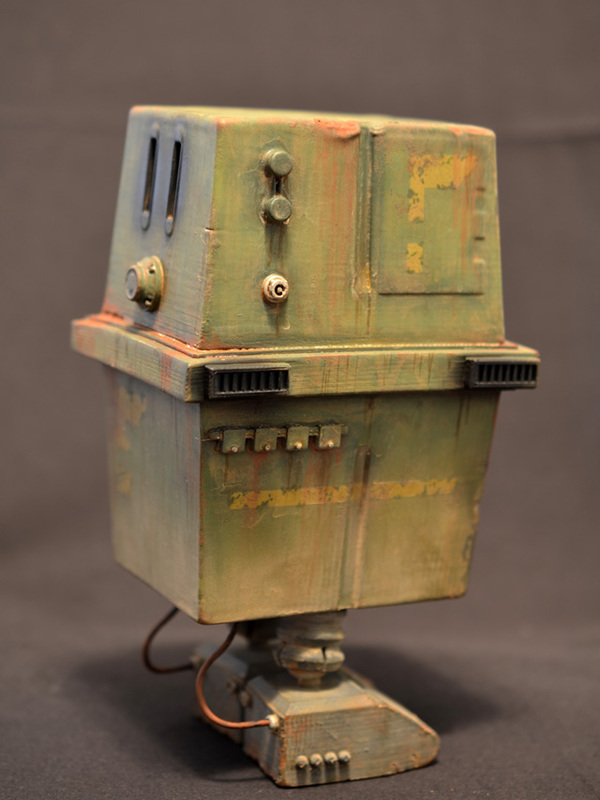 The Gonk Droids, or Power Droids depending on who you ask, are such a classic, simple, goofy design that a Gonk was the obvious starting point. Read on after the jump to see some behind the scenes of my design process and lots of photos. 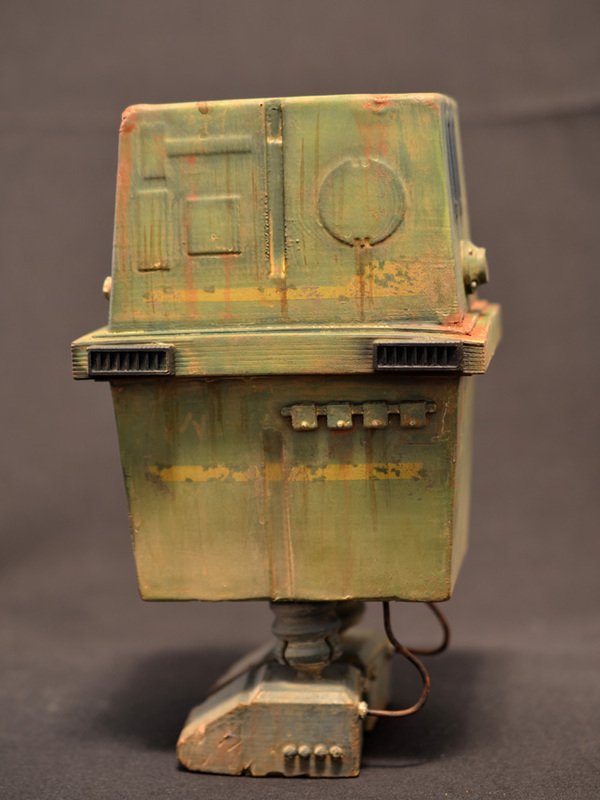 There are a number of different Gonk designs, but the first one seen in the Sandcrawler in A New Hope has the simplest design. 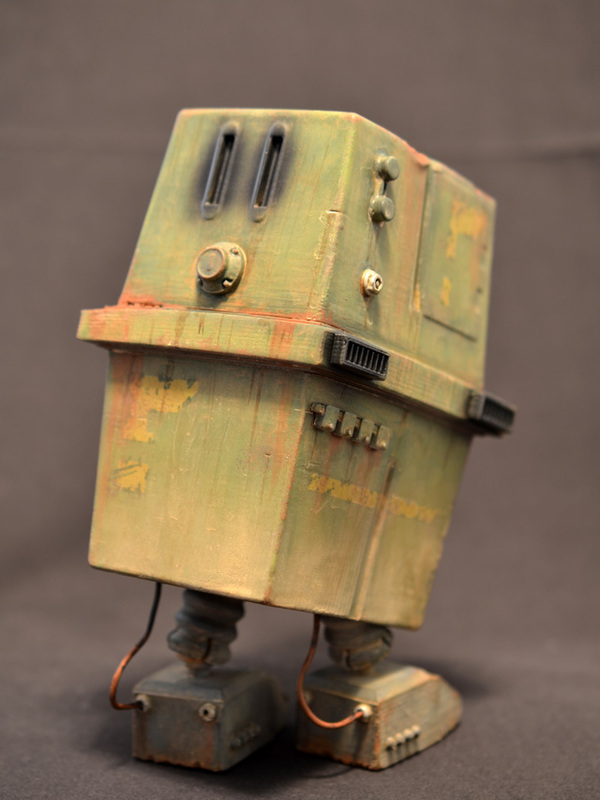 Even among Gonks of the similar body style the details can vary wildly. 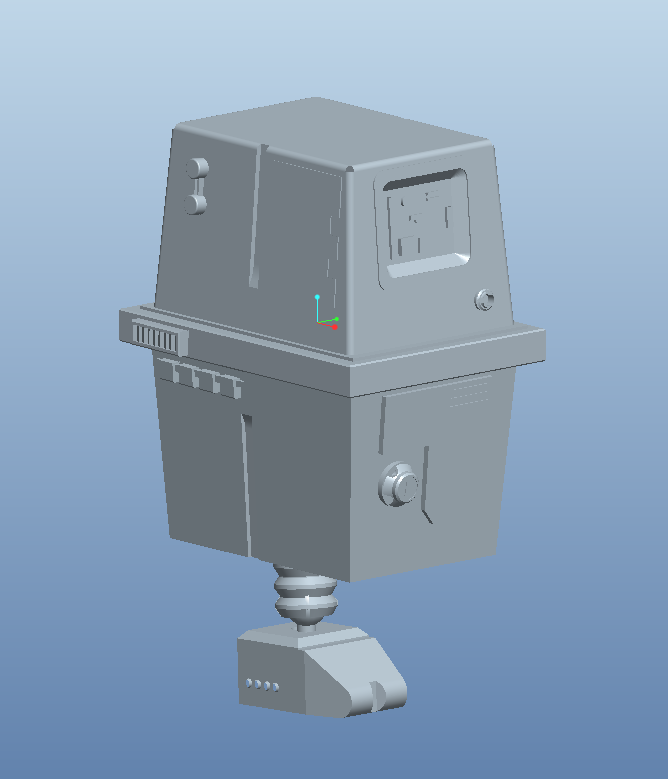 Rather than go crazy trying to replicate a specific droid exactly, I instead designed a basic body and then a variety of detail bits as separate parts that I can print out and stick on in different places to add some variety down the line. 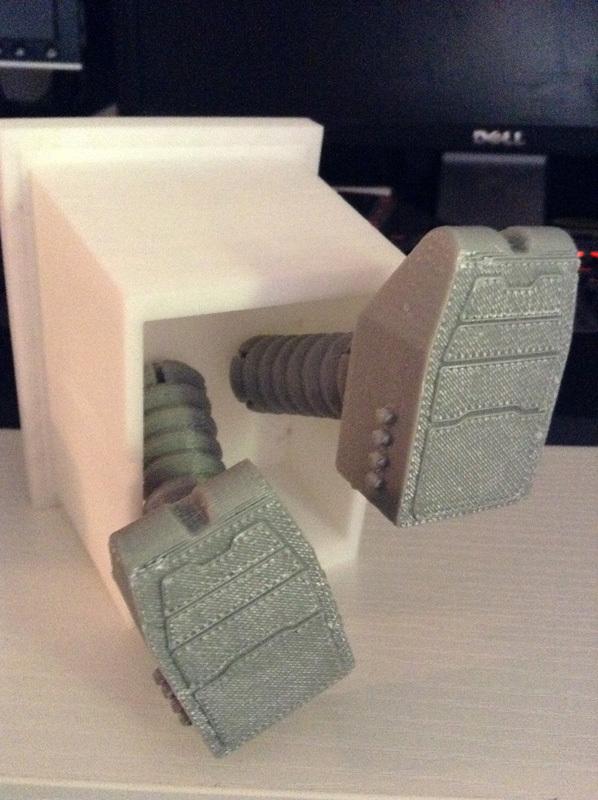 The goofy design of the Gonk also gave me an opportunity to test out some fully 3D printed ball and socket joints. The joints worked even better than I expected. 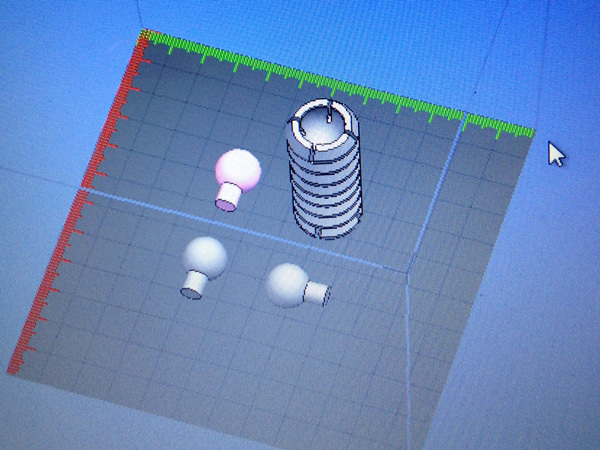 Once I hit them with the acetone vapor treatment, the sockets are springy and solid, and the ball fits in snugly. 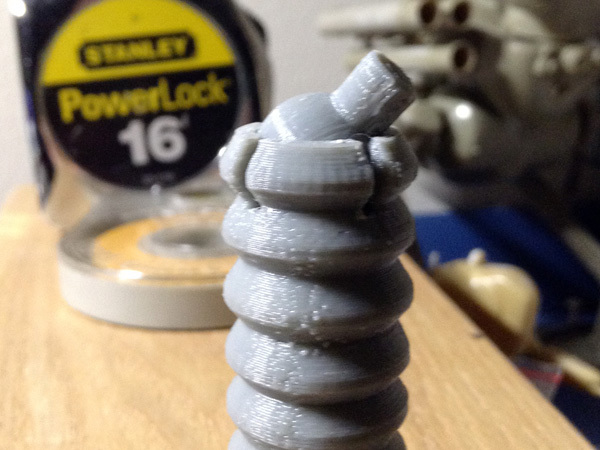 Ball joints are clearly worth developing further for other figures. 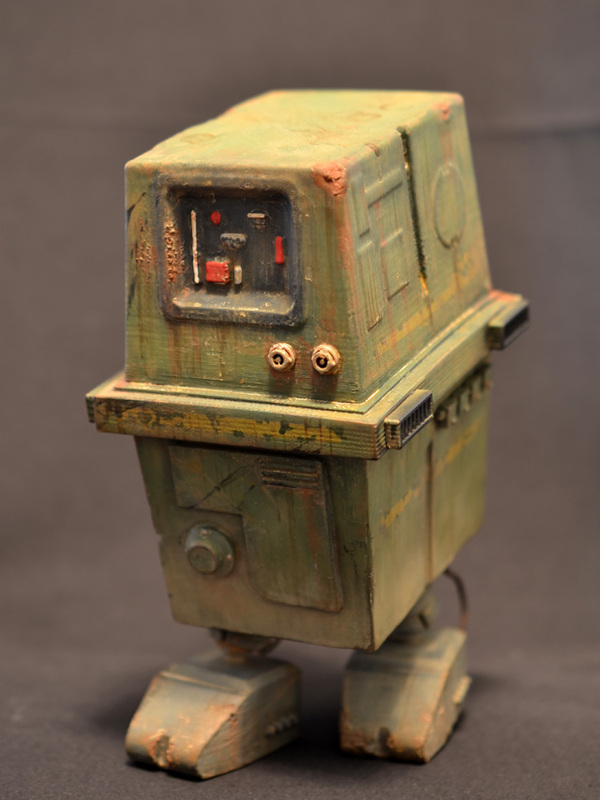 The Gonk is basically a giant box, so the figure is mostly hollow. 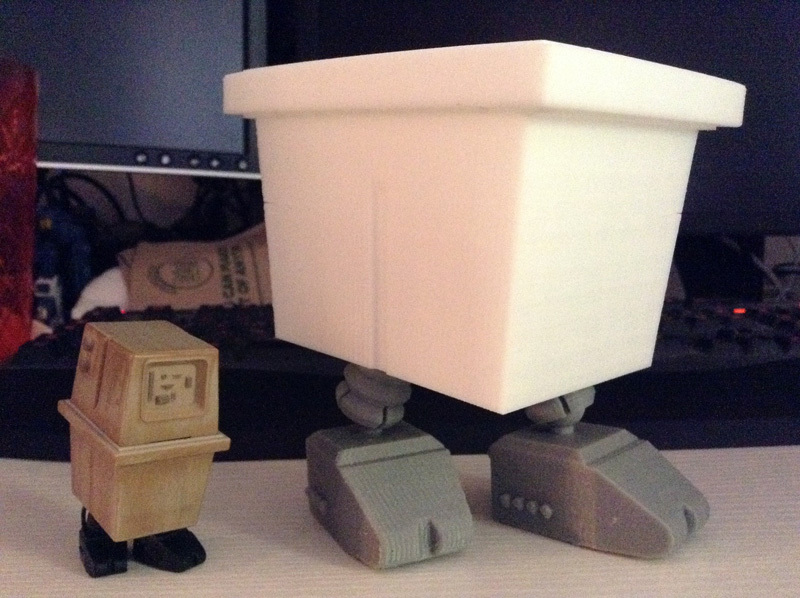 The main body is printed in two parts, so if I get bored at some point in the future I could make internal goodies for the head like the current Hasbro 3 3/4″ Power Droid. Now, the finished pictures. 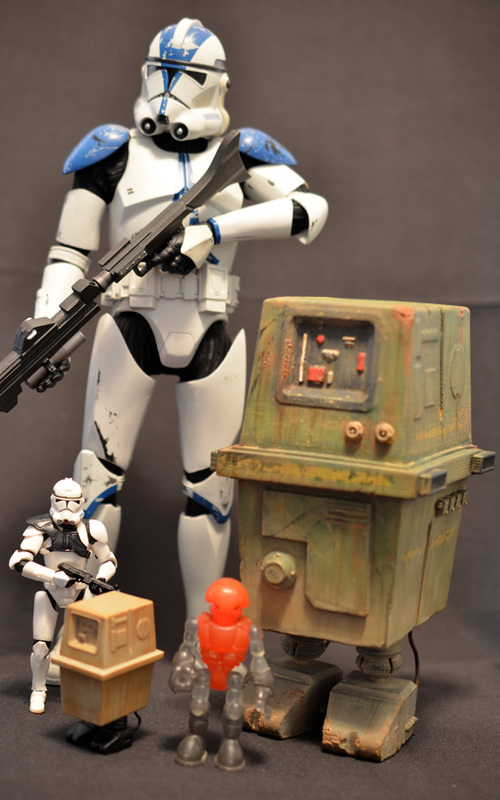 Shown above in a scale comparison shot of Hasbro’s 1/18 scale clone and Power Droid, Sideshow’s 1/6 clone, my 1/6 Gonk Droid, and a Glyos figure. The damage and wear were once the big guy was acetoned and assembled. The neat thing about the still slightly soft post-acetone ABS is that if you give a corner a good whack with a pair of pliers or something, it makes a great looking dent that’s soft and squished like metal instead of cracked and split like layers of plastic. That’s something I will have to make more use of in the future. 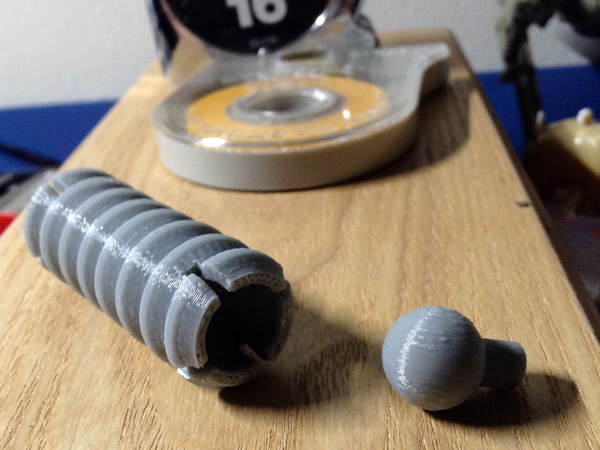 One corner of the belt curled a little during printing, but it was not enough to warrant not using the part. 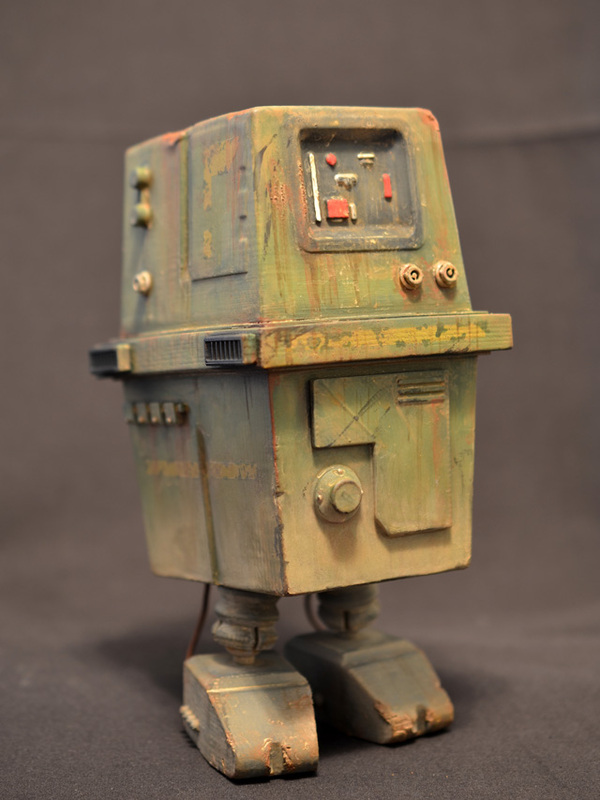 With how beat up the rest of the droid is, it just looks like another dent. There are a couple of coffee cup stains on the head. 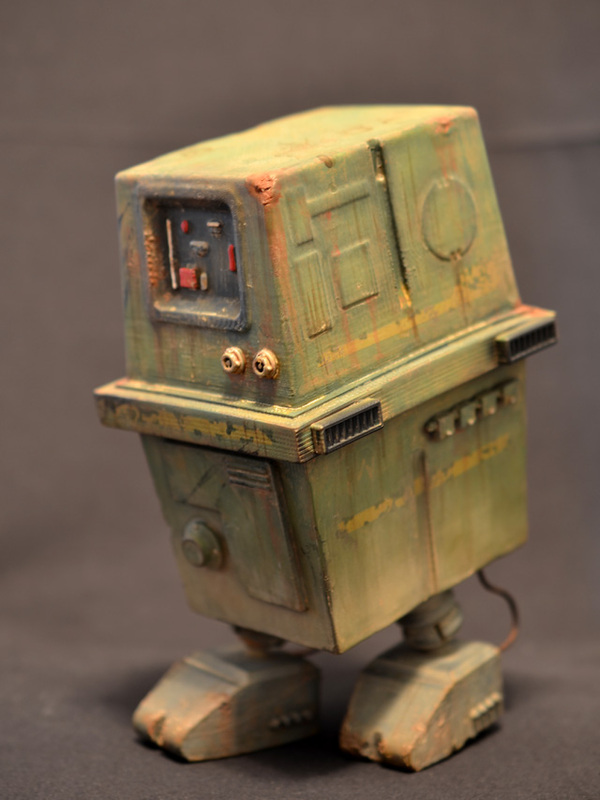 I figured Gonk Droids basically just hang around industrial sites providing power, so while they’re juicing something up the workers probably use them as tables while on break. 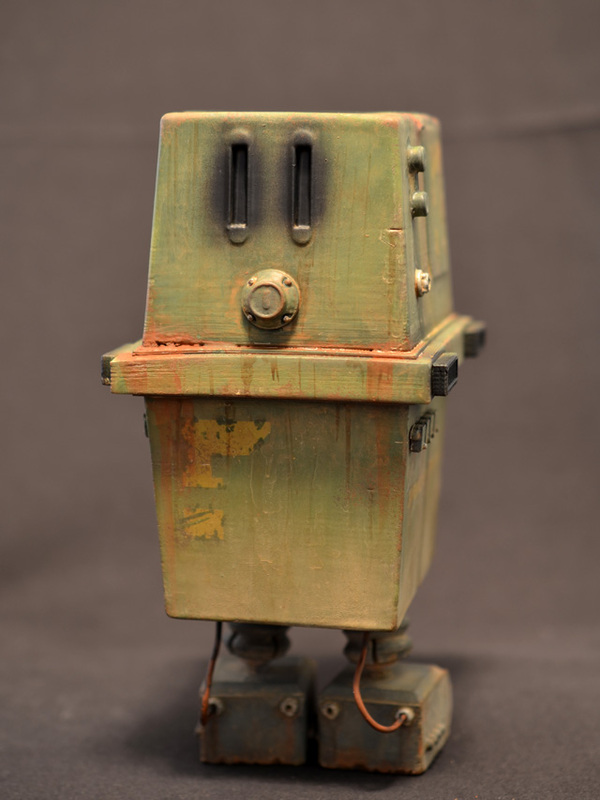 Pingback: » News: 6 Inch Scale Gonk Droids From PRHI Dropping Saturday!